If you’re listening to this podcast, the one thing I know is that you’re a highly conscious being who is working towards embodying the highest version of yourself. But what if I told you that you can only access 10% of your consciousness- and the other 90% lives beneath the surface? Today’s guest, Grace Smith, is a world renowned hypnotist who can help you access the things that hide within our subconscious mind and help us release them, once and for all, and help us live the lives we were meant to live? Grace is the author of the #1 new release, Close Your Eyes, Get Free: Use Self-Hypnosis to Reduce Stress, Quit Bad Habits, and Achieve Greater Relaxation and Focus and is founder of www.gshypnosis.com, the world’s #1 hypnotherapy hub, as well as Grace Space Hypnotherapy School. Grace is a regular guest on CBS’s hit show, The Doctors, and her work has been featured in The Atlantic, Marie Claire, Forbes, US News & World Report, MindBodyGreen, Buzzfeed, Bustle, InStyle and more. 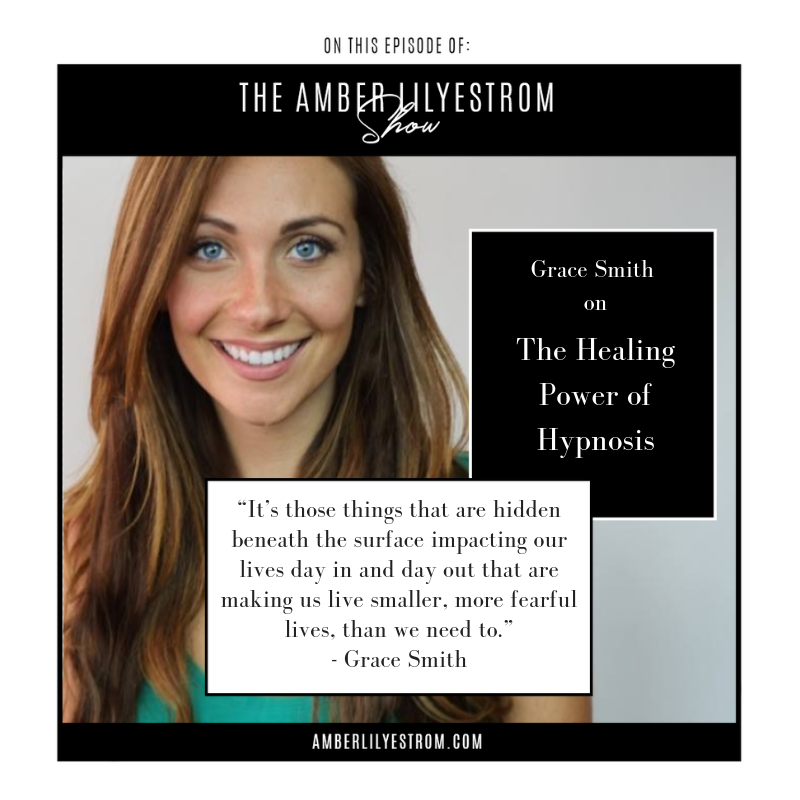 Grace Smith is on a mission to make hypnosis mainstream and help us all gain insights and power in to releasing what no longer serves us, and stepping fully in to any and every possible thing that does.